Paradiso is the only artisan Italian-style cheese from Holland. 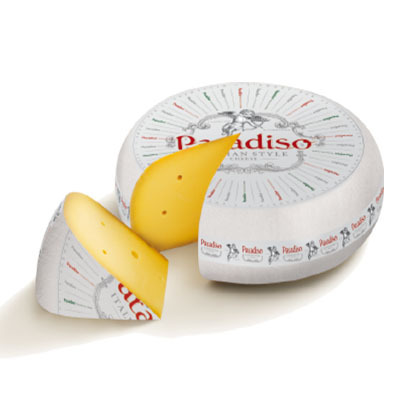 Paradiso is made by master cheesemakers with milk from free-ranging cows that graze on the nutrient-rich grass. This semi-firm cheese has a smooth texture with some crystallization throughout. Its taste is rich, creamy and savory with sharp notes reminiscent of an Italian Parmesan. From the milk & cheesemasters of Beemster® Premium Dutch Cheese.